A few months back I did some graphic design work for a long time friend, Elizabeth. When receiving her payment for my work, a few bonuses were found in the package. She must know how many tissues we go through in our family with a toddler who always seems to have a runny nose and a hubby who has bad allergies in the summer. 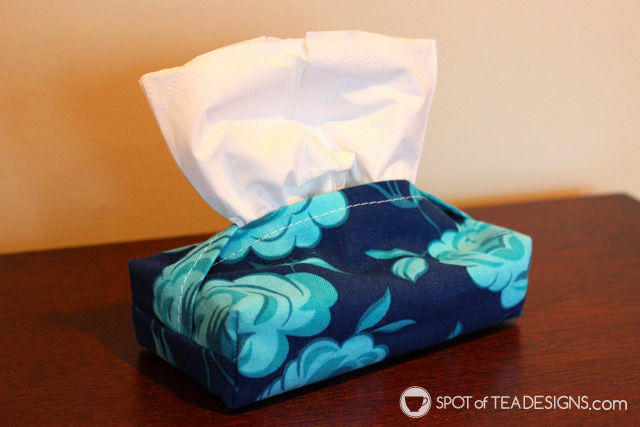 She made this pretty little tissue pack holder that I can now carry in my diaper bag for quick access to our tissue supply! And since she’s a SOTD blog follower (Hey Elizabeth!) she knows about my newest little nephew, Jared. She gifted my sister an ADORABLE pair of handmade burp cloths! The one features my favorite, polka dots, and the other has this cute sock monkey pattern. 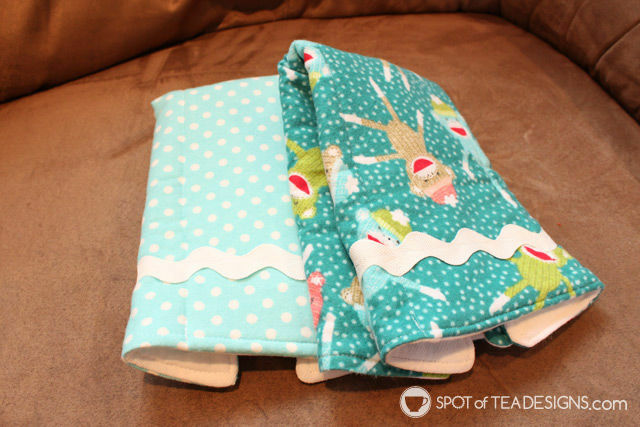 They’re made of both cloth diaper material and a pretty flannel covering so they’ll be super absorbent and have a non-slip grip. When Brielle saw the pair sitting on our counter waiting to be given to my sister, she made the monkey noise and I let her see them. I showed her how you put them on your shoulder and burp a baby to which she quickly went to grab her baby doll and try it out. We now have to make sure she has her own burp cloth around by her baby doll at all times for burping! 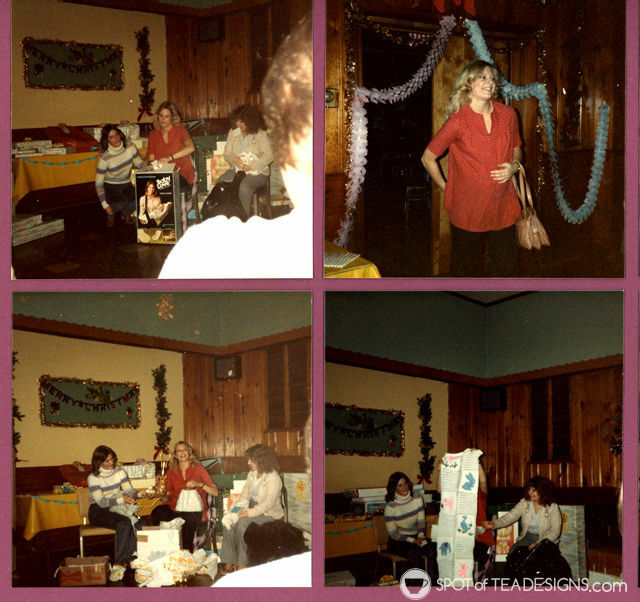 Back in the day before they had gender discovering ultrasounds, a baby shower consisted of all gender neutral items or things that matched the nursery colors that they revealed to family and friends. At my sister’s baby shower for my nephew, Blake, this blanket originally made for ME was given to my sister, since she was the first to have a baby. This 33+ year old handmade creation eventually made it’s way back to my mom and she recently brought it over for our #2 to enjoy. It’s white with little blue and pink animals and will become an extra floor play blanket when our little girl arrives. Thank you to those “Polizzies,” whomever you are, if any of you are still even around!